The training: on completion of this 3-day/18 hr course, the First Aid Responder will be equipped with the necessary practical skills, knowledge and confidence to give effective life support, diagnose and treat injuries or illness, and maintain care and comfort of a patient who has become suddenly ill or injured in the workplace or elsewhere until the arrival of emergency medical services. Services can claim back the cost of one person attending FAR (either full or refresher) on behalf of your service. Have an employee who has completed or have themselves completed, either the full 18 hours FAR course or the 12 hours Refresher FAR course since January 1st, 2019. Have paid for the employee / registered childminder to participate in the training. Must submit a hard copy of the application form, along with a copy of the receipt for training and a copy of the PHECC accredited FAR certificate. Wicklow County Childcare Committee has a list of available FAR trainers (see below) who have expressed an interest in offering the training in County Wicklow. WCCC are not organising the training courses. Childcare services will have to contact the training provider to book their FAR training. In order to re-claim the course cost, an individual must have undertaken the training with a PHECC accredited First Aid Responder (FAR) trainer, from the list below and it must be a PHECC FAR training course.There is only 1 place funded per service. For further information about the reimbursement process please contact WCCC. 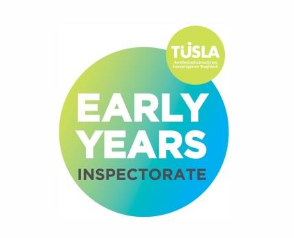 Please see link below to view a Letter from Tusla containing important information in relation to First Aid Response Training (FAR). IMPORTANT: WCCC does not offer First Aid training directly and cannot hold responsibility for the quality or certification of courses run by other organisations. This page is provided for information purposes only.